The foreign ministry told the AP news agency that the ship sent a distress signal on Thursday: "It has now been confirmed that the sailboat was hijacked by pirates." 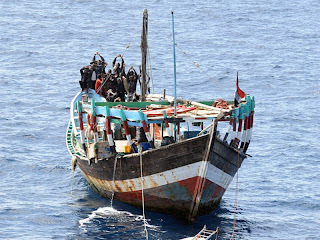 The Danes are be the second group of non-commercial sailors seized by pirates in recent weeks. 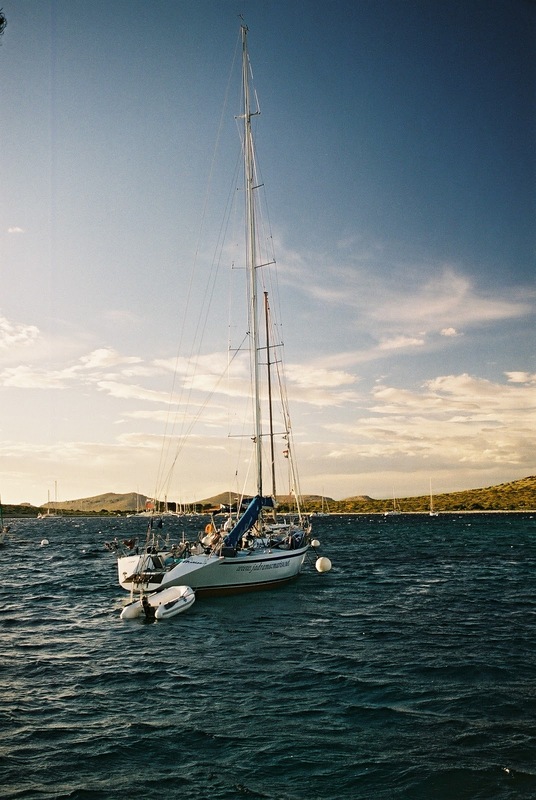 This is not the time to debate the wisdom of sailing into a known danger zone with your family. Instead, the discussion ought to be about whether the pirates have enough compassion to free the family and, if they don't, what steps need to be taken to (a) get the family released alive or (b) punitive measures to be employed if any harm is done to these and other hostage. Madagascar's navy Sunday towed into Antsiranana port a hijacked Comoros-flagged vessel almost a week after its captain and two suspected pirates arrived on the island to seek help, an official said. The MV Zoulfikar was captured by Somali pirates in November while on its way to Tanzania from the Comoros. It had 29 people on board -- 20 passengers and nine crew. 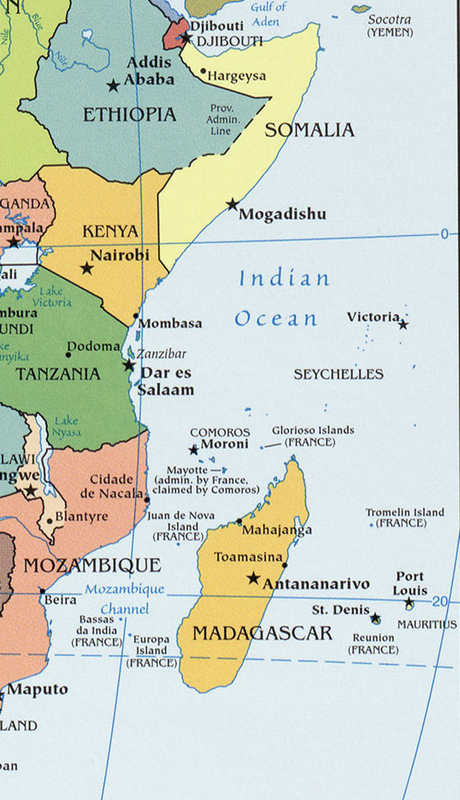 On Monday, six people arrived on a small boat at Madagascar's northern Antsiranana port to seek help. 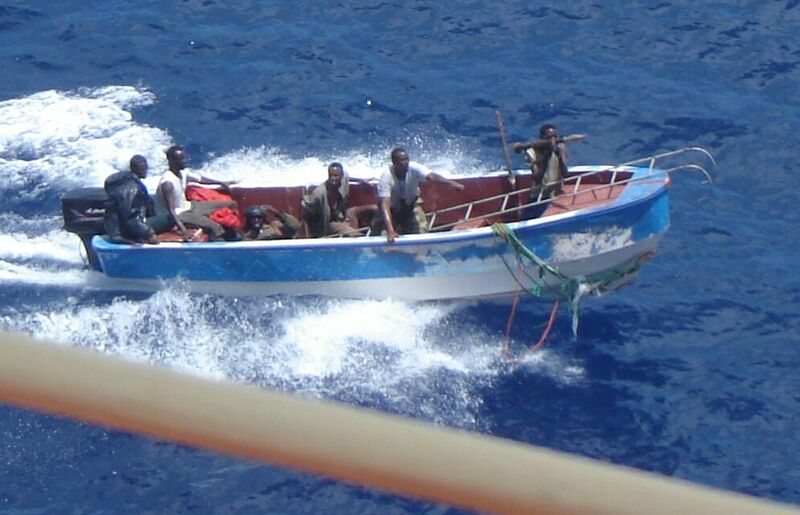 Among them were the MV Zoulfikar's captain and two Somalis suspected to be pirates. "It was a rescue operation. There were no clashes. 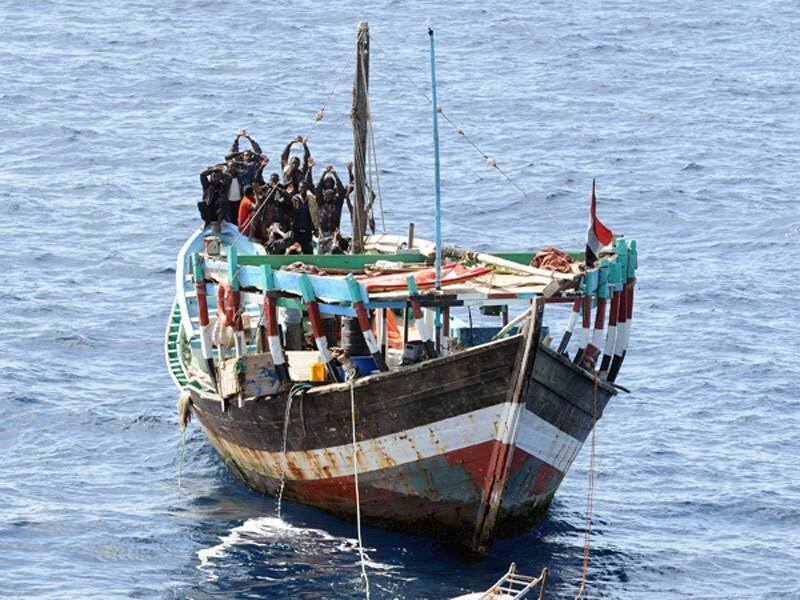 The suspected pirates were not armed and they gave themselves up immediately," Rolland Rasolofonirina, the coordinator of Madagascar's anti-piracy efforts told AFP. "There were 37 people on board, 12 of whom are suspected pirates. 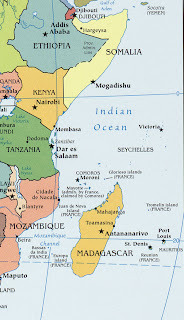 The 25 passengers are from Madagascar, Tanzania and the Comoros and three of them are women," Rasolofonirina said. The three women, weakened by their four months in the hands of the pirates, were given medical treatment as soon as they were transferred to the Madagascar rescue boat. All of those aboard are being detained by the authorities in Antsiranana's military port. "We are in the process of deciding on the procedure to be followed ... so that prosecutions can take place," Rasolofonirina said. Lots of witnesses. Should make for a short trial and long sentences. Interesting book review from the Wall Street Journal on drug smuggling Book Review: I Am the Market. The bottom line appears to be that familiar theme: "If it is financially lucrative enough, drug smugglers will find a way." This book highlights some of the ways. Which ought to be a warning about smuggling other stuff. 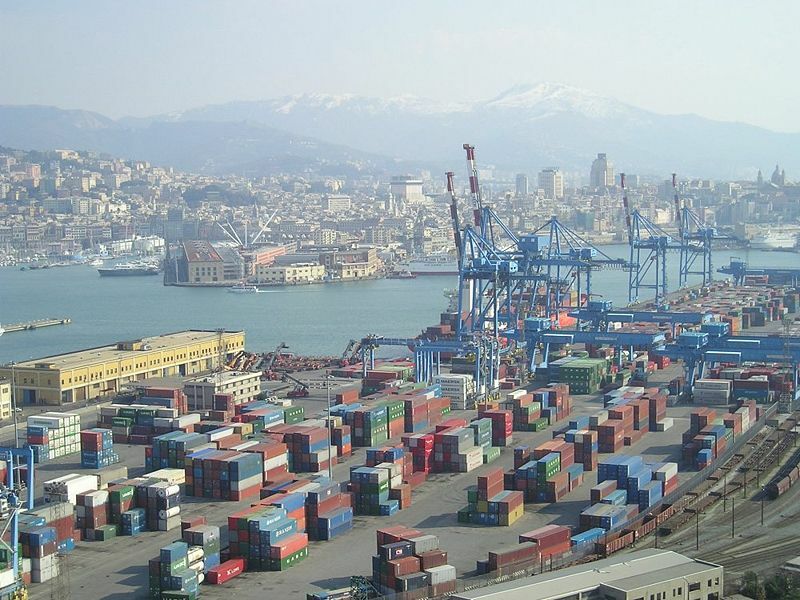 Italian authorities are looking for a way of disposing of a container containing radioactive material that has been sitting on the dock at the port of Genoa for more than six months. Coffee bags in container -what else could be in there? According to news reports, the container arrived from Saudi Arabia on July 20, 2010, but later yard workers discovered it was radioactive. One report said the container held radioactive cobalt. Italian security officials have approached the problem warily because it is unknown whether or not the container is a terrorist weapon. Since the Sept. 11, 2001, terrorist attacks in the U.S., security officials have warned about a “nuke in the box,” a nuclear or radiological weapon delivered through the supply chain. This is not a new problem - back in 2005, a shipment was returned from Italy to Morocco because it tripped radiation dectectors. 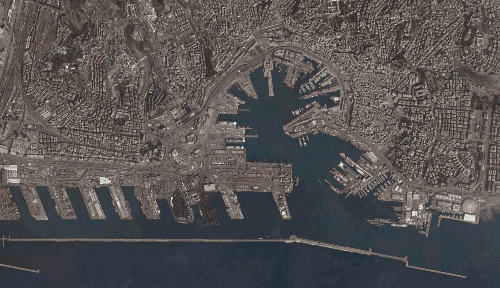 Last year, a shipping container made its way from Saudi Arabia to a dock in Genoa, Italy where it sat idle for several days until dock workers discovered by accident during a “technical review” of the terminal that the container was radioactive. It has been six months since the radioactive container was discovered and it still has not been deactivated. They are currently exploring different methods to deactivate the container, including a robot due to the unknown threat of the materials. They are estimating that the cost of remedying this situation will be €800K, perhaps €1M. How did this stuff ever make in onto a ship in Saudi Arabia? Suppose the worst fears of the Italian authorities were realized - that this container contains some sort of "dirty bomb" - and that the trigger was not set for Italy, but for some vital marine chokepoint or other area where it could inflict mass casualties and enduring radiation. A container of radioactive 100 meters distance deliver values five times higher than the "natural background" (those that normally are found). E 'detention in port of Voltri since July, when the alarm went off during a technical review of the Terminal: The Indicators of instruments dedicated to the research of radioactive material went wild, the place was called the fire department and the experts of the Company Regional. 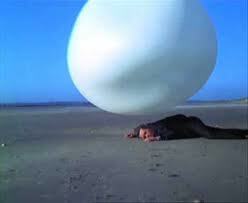 The container was isolated, away from the heart of port activities and placed on a pier of the "Sixth Form", pending remedial measures - was guaranteed - would have been very rapid. After six months of strikes and disputes, and city workers are still waiting. The Technical Unit Complex Regional dell'Arpal has always ensured that the radioactive emissions are not high, but has suggested "appropriate care". It was the Special Unit of Bacteria-Chemical-Radioactive firefighters to identify the nature of the material: cobalt-60, coming from a "source" used by health care facilities to cobalt, or from industries that perform nondestructive testing on metals, ie radiographs. 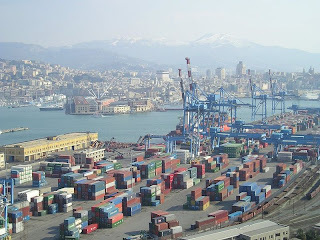 The container had arrived by ship to Genoa from Jeddah - Saudi Arabia - with a stopover in the port of Gioia Tauro. 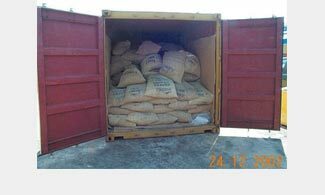 C Official Content ferrous materials, and was landed at the Vte July 14. Cobalt 60 has a 5 year half life (see Testimony of Dr. Henry Kelly, President, Federation of American Scientists before the Senate Committee on Foreign Relations, March 6, 2002), and may be a lesser concern than some other radioactive materials, but it is still a concern. 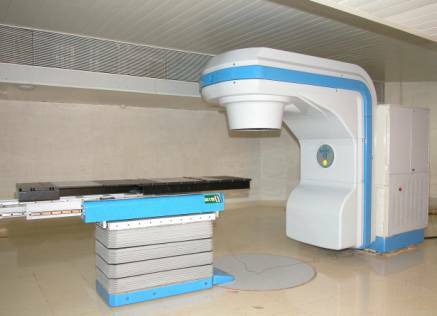 Cobalt 60 is used in machines designed to kill cancer by focusing the radiation. When these machines are old, they are sometimes scraped without removing the Colbalt 60. See here. So the real question is - why did it take so long to detect the radiation? What does this say about port security in Saudi Arabia? Were the shipping documents falsified? Was anyone paid off to allow this shipment? What other shipments of hazardous materials would a small bit of Bakeesh allow to go unchecked? Once again, drug smugglers may help us get a handle on what doors need to be closed to prevent the shipping of potentially terrorist materials. Some people ask, "How do the Somali pirates know where the ships they hijack are going to be?" 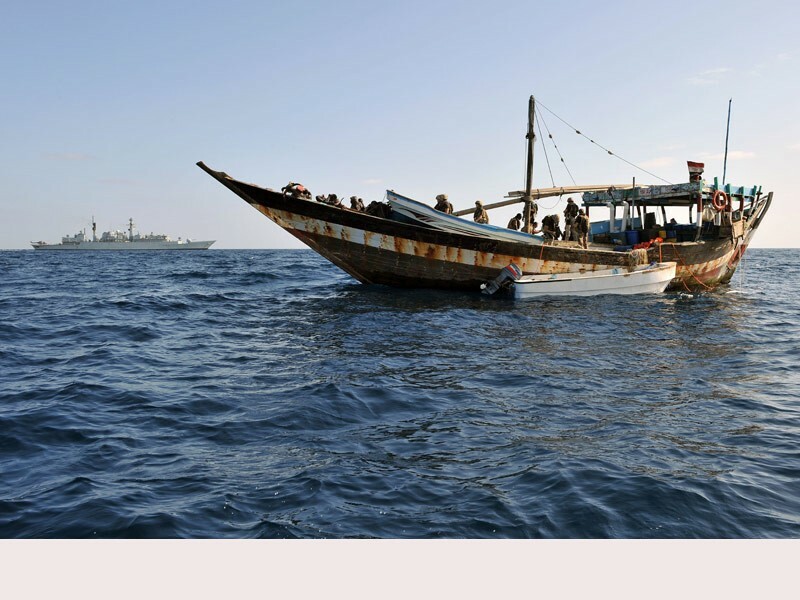 There have been allegations of the selling of sailing plans by industry insiders to Somali pirate spies. Not much evidence has been proffered to support that theory, but there may be some truth in it. Another allegation is that the pirates are using Automatic Identification System (AIS) signals to track targets. Others assert intercepted radio signals are being used. All of these assertions may be true in part. 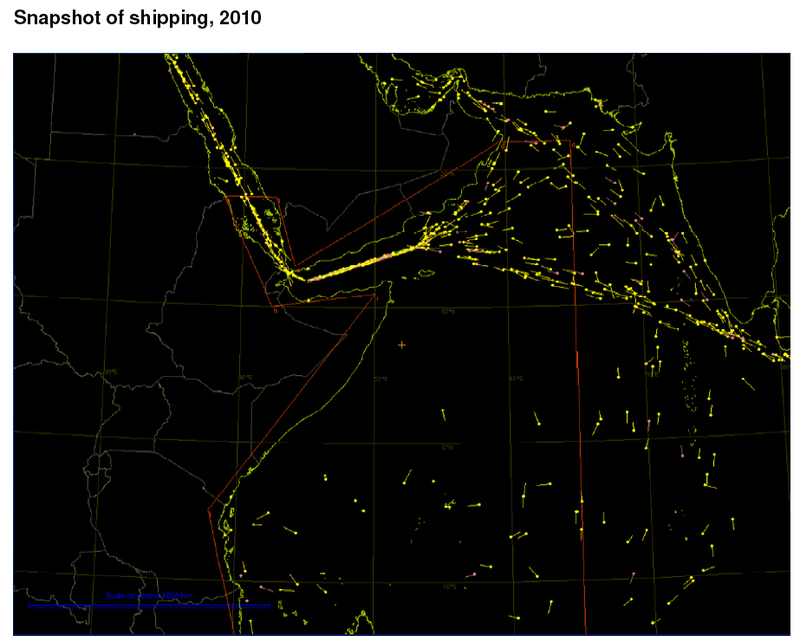 See the major shipping lanes? What do you end up with? 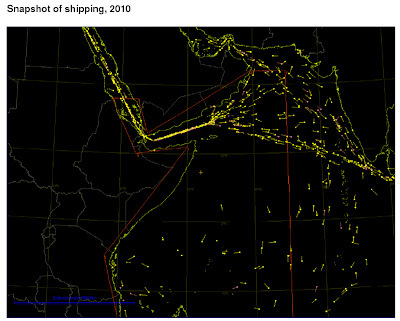 It shouldn't be a surprise - the pirates mostly attack shipping in the heavily trafficked shipping lanes. Which answers the "where." The "why" is answered by that old Willie Sutton line about why he robbed banks, "because that's where the money is." Apply "Sutton's Law" to the Somali pirates and the "why" question about where they strike is evident. "That's where the ships are." 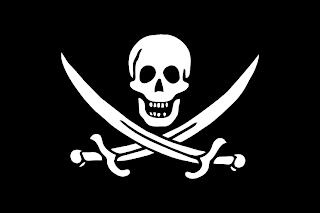 Now, how do counter-pirate forces find the pirates who are going to attack ships? Figure it out for yourself. It's not complicated. The danger of piracy and consequent loss of life and property in the GoA (Gulf of Aden), Yemeni and the Somali waters (up to 750 miles offshore), is high. 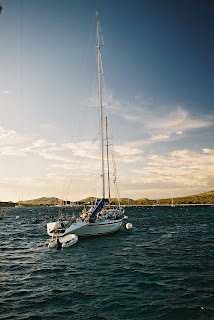 Yachts are strongly recommended to avoid the area. Of interest to me are a couple of differences between the draft guidelines and what ended up being finalized. 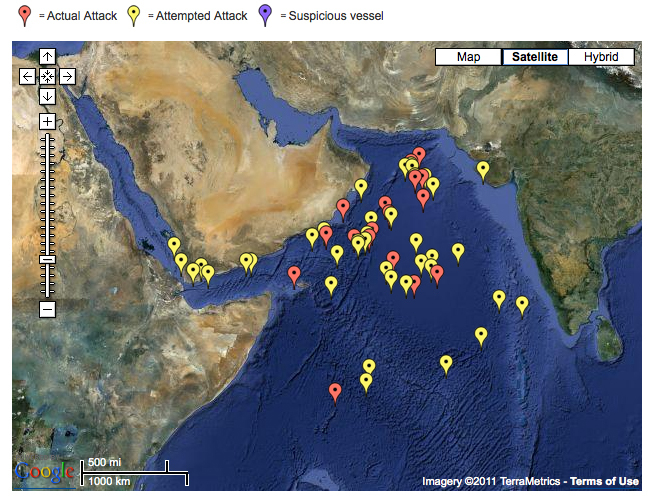 and (2) the spread of Somali piracy. 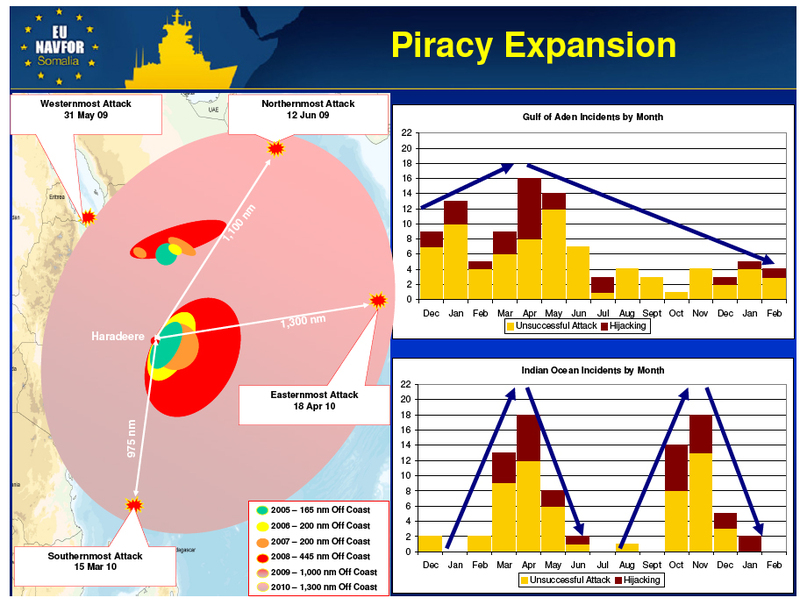 The dangers of piracy are well-known to most experienced sailors, who monitor reports of attacks closely and often travel in groups through high-risk areas. But the killings have stunned the tiny, tight-knit international community of "blue water" sailors—adventurers and serious sea men and women who sail the globe for years at a time. 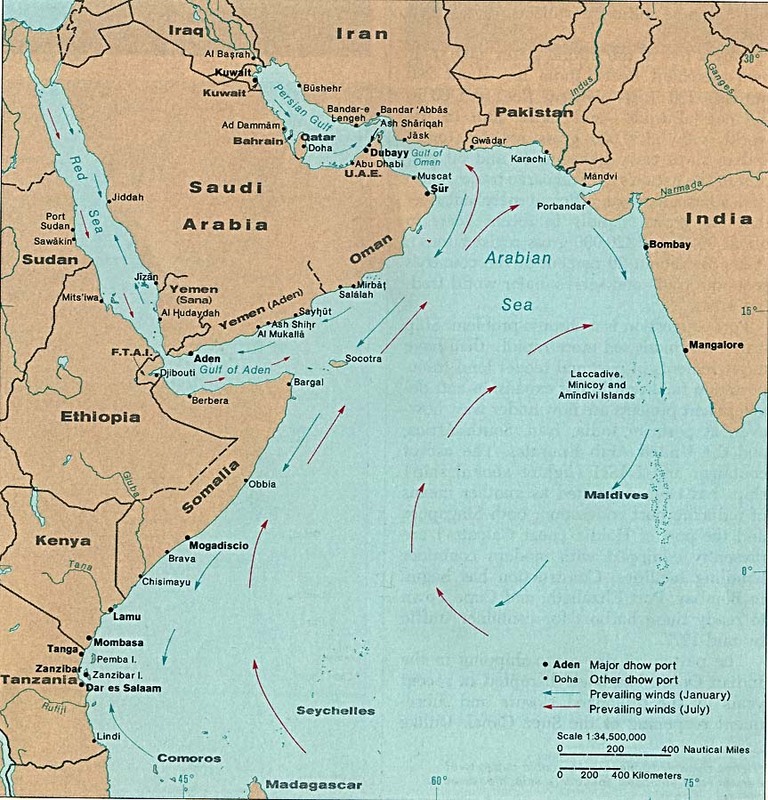 Now, many are changing course to avoid parts of the Indian Ocean and Arabian Sea, others are scrambling to arrange transportation for their yachts on cargo ships. 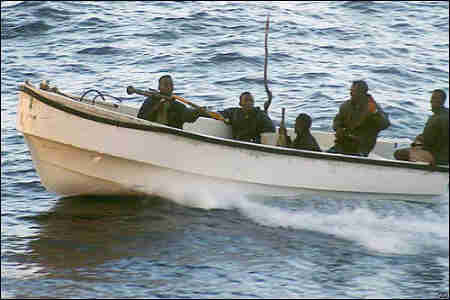 Some are demanding government action against the pirates, or escorts across dangerous waters. Well, Mr. Rouse, apparently we are having trouble not allowing the thugs to have their way. 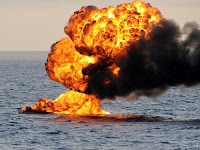 Mother vessel reported, 1 skiff with 5 POB attacked the vessel, small arms and rockets fired. 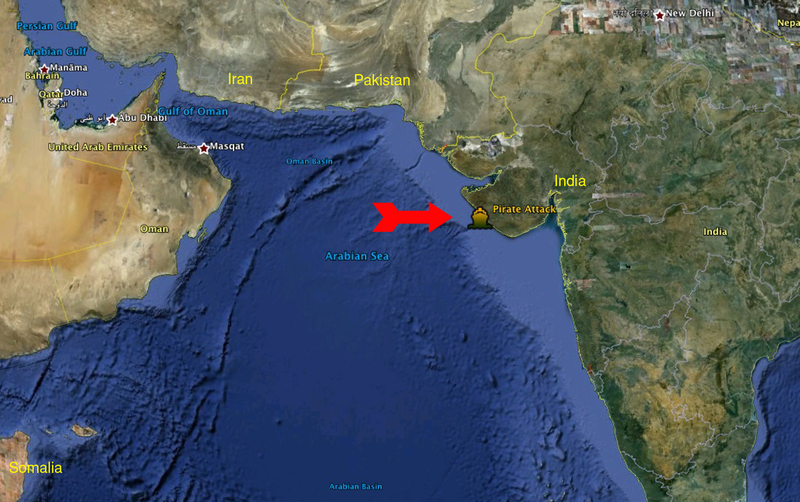 At 0829 UTC / 25 FEB 11 / a merchant vessel was reported under attack by 1 mother vessel and 1 skiff in position 1437N 05840E. 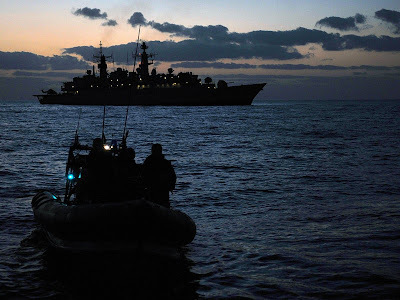 At 0530 UTC / 25 feb 11 / a merchant vessel was reported under attack by 1 mother vessel and 1 skiff in position 1446N 05839E. Mother vessel orange and blue, skiff white with 6POB, rocket fired. 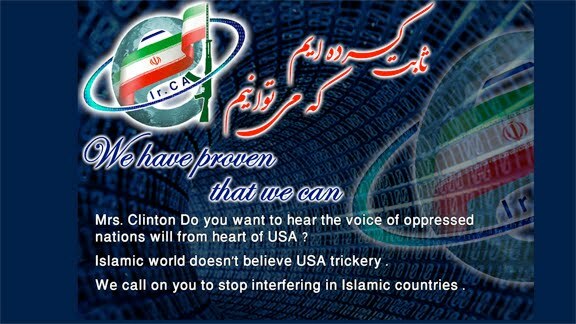 Voice of America Website Hacked by "Iranian Cyber Army"
If this is the best they can do, it's pretty sad. 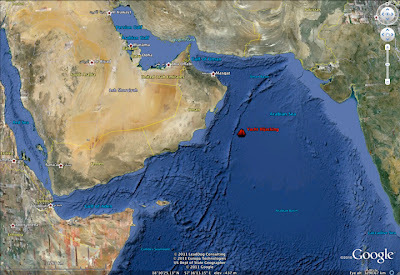 Hijacked by Somali last Friday off Oman, the Quest was being piloted toward the Somali coast - and was being shadowed by a U.S. Navy warship. At approximately 1 a.m. EST today, while negotiations were ongoing to secure the release of four American hostages, U.S. forces responded to gunfire aboard the pirated vessel (S/V) Quest. As they responded to the gunfire, reaching and boarding the Quest, the forces discovered all four hostages had been shot by their captors. Despite immediate steps to provide life-saving care, all four hostages ultimately died of their wounds. “We express our deepest condolences for the innocent lives callously lost aboard the Quest,” said Gen James N. Mattis, U.S. Central Command Commander. Piracy and murder trials will surely follow. A knife fight? 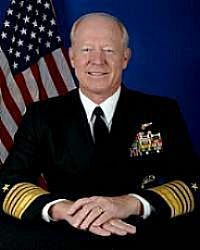 Transcript of VADM Fox comments here. You can download the audio here. UPDATE: What law may apply? 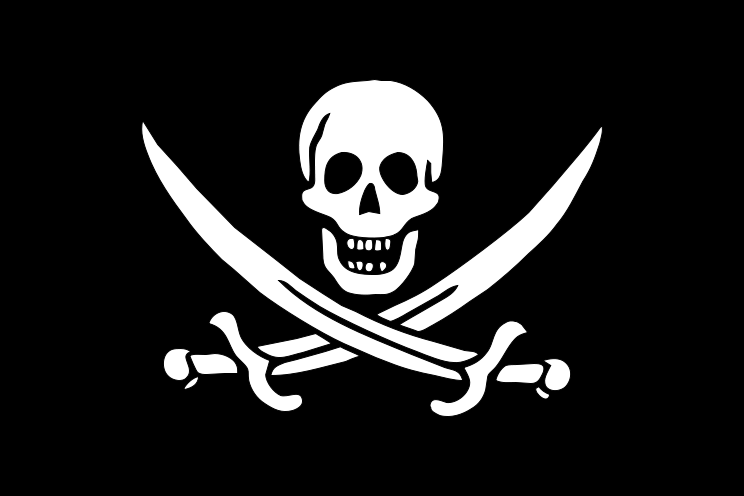 Under U.S. law, piracy is punishable by life imprisonment. 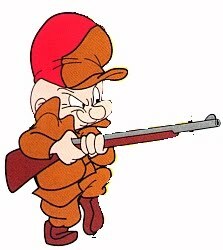 Murder, on the other hand, may be punishable by death. If it's an act of terrorism against the U.S.
UPDATE3: Looks like the FBI is involved. 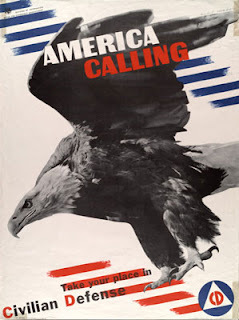 shall be fined under this title, imprisoned not more than 20 years, or both; and if the death of any person results from conduct prohibited by this paragraph, shall be punished by death or imprisoned for any term of years or for life. 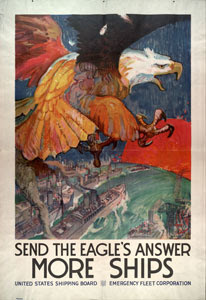 (2) Threat to navigation.— A person who threatens to do any act prohibited under paragraph (1)(B), (C) or (E), with apparent determination and will to carry the threat into execution, if the threatened act is likely to endanger the safe navigation of the ship in question, shall be fined under this title, imprisoned not more than 5 years, or both. Of course, some would rather see these pirates hanging from yardarms after a brief trial at sea. In England in the 13th century it was enacted that anybody who committed murder on the king's ships would be tied to their victims body and thrown into the sea to drown. Of course, we live in the 21st century. 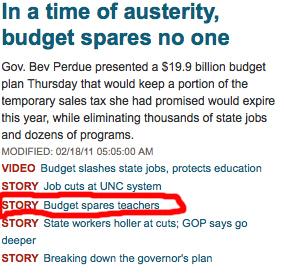 I'll bet some government lawyers are working overtime on this. UPDATE4: Naturally, there are reports that it was all started by the U.S.. This report should be judged on the basis of the veracity of some unknown pirate accomplice who has no reason to portray the incident in any light unfavorable to his companions. Even if true, the U.S. did not pirate the boat and was not holding 4 people hostages. The U.S. would have been within its rights to kill all the pirates as they came into sight. 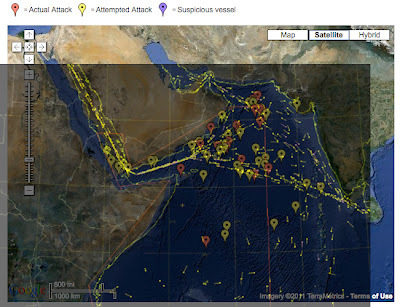 Remember that these pirates, who now range across the Indian Ocean, claim justification for their acts because of illegal fishing and dumping in Somali waters, neither of which the 4 Americans were involved with. Two Iranian naval ships have entered Egypt's Suez Canal and are heading towards the Mediterranean, a canal official said. "They entered the canal at 5:45am," the official told Reuters news agency on Tuesday. 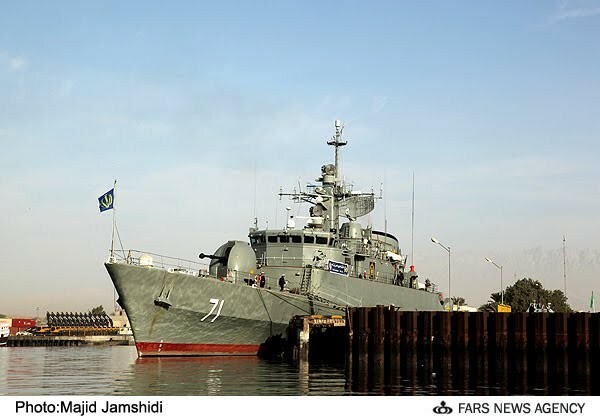 The two vessels, Alvand, a patrol frigate and Kharg, a supply ship, are the first naval vessels to go through the canal since Iran's 1979 Islamic revolution, after which diplomatic ties between Egypt and Iran were strained. Egypt's ruling military council, facing its first diplomatic challenge since taking power on February 11, approved the vessels' passage through the canal. The canal is a vital global trading route and a major source of revenue for the Egyptian authorities. Israel takes a "grave view" of the passage of the ships. On Sunday, after a weekly meeting of his cabinet, Binyamin Netanyahu , Israeli prime minister denounced the ships' arrival in the region as an Iranian power play. And last week, the prospect of the Suez crossing was described by Avigdor Lieberman, Israel's far-right foreign minister, as a "provocation" by Iran. But an Iranian diplomat said that, "This will be a routine visit, within international law, in line with the co-operation between Iran and Syria, who have strategic ties. 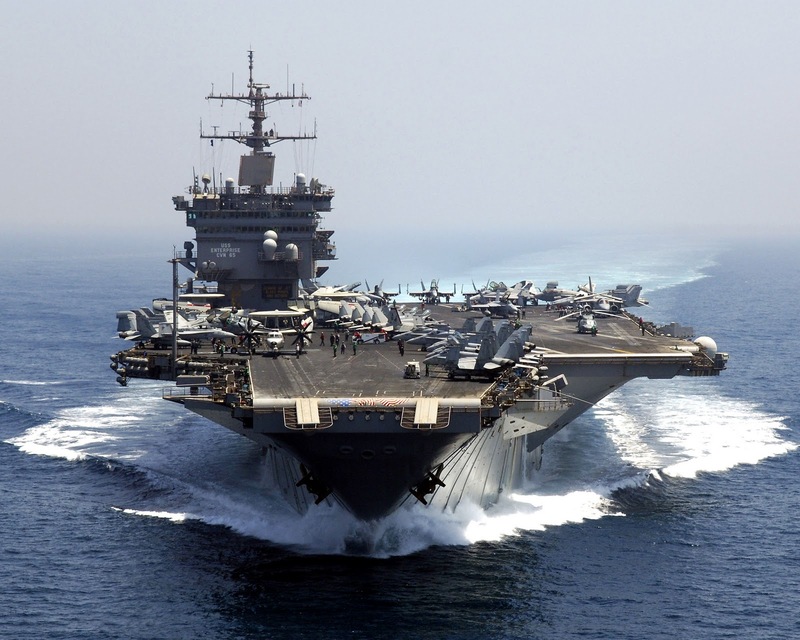 "The ships will spend a few days in Syrian ports for training purposes, having already visited several countries including Oman and Saudi Arabia," the diplomat added. The prospect of these ships making it through the canal and heading for their announced destination of Syria has many people at increasing flail levels, especially the Israelis. The ships themselves are a small frigate and INS Kharg a fleet oiler/ammuntion ship that has served as the flag ship of the Iranian Navy (see USNI Guide to Combat Fleets of the World by Eric Wertheim here). 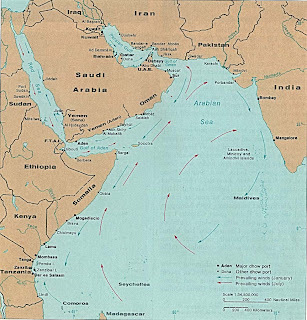 The ships themselves pose little threat to anyone, unless, in a repeat of a famous incident in the Canal's past, they drop mines along the way, as Libya is suspected of doing in 1984. 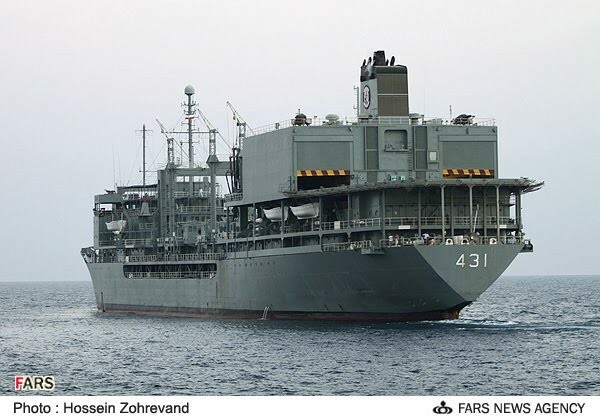 That incident, which damaged 18 or so ships was denounced at the time by Iran's Ayatollah Khomeni, though praised at lower levels in Iran (see here). Given that record and the scrutiny that will be given these ships, a mining mission seems unlikely. No, the concern is that these vessels, both "warships," may be carrying some cargo dangerous to Israel to Israel's enemies in Syria. Presumably, the oiler, being larger may be carrying a large amount of something that would improve the military position of anti-Israel forces. 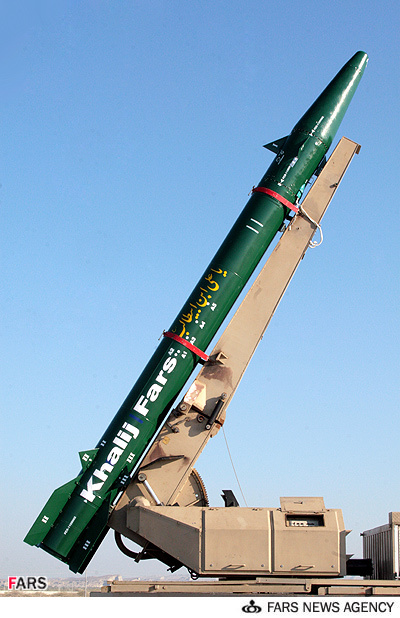 Perhaps a batch of rockets? New warheads of some sort? Unlike merchant ships, it is unlikely that the threat of force would allow these ships to be searched. Further, in this particular chess game, it seems as likely as not that there is nothing on these ships.Does it matter? 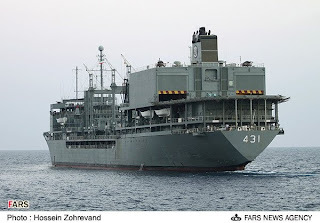 The Iranian goal is to set a precedent - to allow for the free movement of its naval vessels on the high seas to a sovereign nation that is not under blockade. That sovereign nation being, of course, Syria. 93. A blockade shall be declared and notified to all belligerents and neutral States. 94. The declaration shall specify the commencement, duration, location, and extent of the blockade and the period within which vessels of neutral States may leave the blockaded coastline. 96. The force maintaining the blockade may be stationed at a distance determined by military requirements. 97. A blockade may be enforced and maintained by a combination of legitimate methods and means of warfare provided this combination does not result in acts inconsistent with the rules set out in this document. 98. 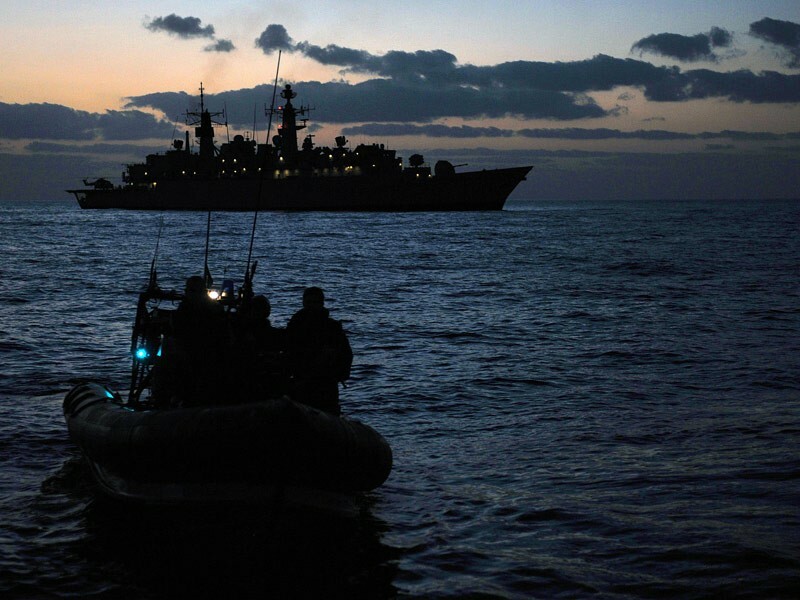 Merchant vessels believed on reasonable grounds to be breaching a blockade may be captured. 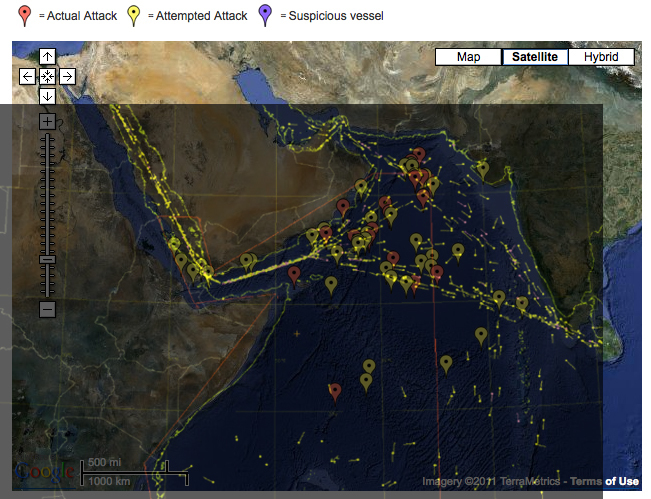 Merchant vessels which, after prior warning, clearly resist capture may be attacked. 99. A blockade must not bar access to the ports and coasts of neutral States. 100. A blockade must be applied impartially to the vessels of all States. 101. The cessation, temporary lifting, re-establishment, extension or other alteration of a blockade must be declared and notified as in paragraphs 93 and 94. 102. The declaration or establishment of a blockade is prohibited if: (a) it has the sole purpose of starving the civilian population or denying it other objects essential for its survival; or(b) the damage to the civilian population is, or may be expected to be, excessive in relation to the concrete and direct military advantage anticipated from the blockade. 103. If the civilian population of the blockaded territory is inadequately provided with food and other objects essential for its survival, the blockading party must provide for free passage of such foodstuffs and other essential supplies, subject to: (a) the right to prescribe the technical arrangements, including search, under which such passage is permitted; and(b) the condition that the distribution of such supplies shall be made under the local supervision of a Protecting Power or a humanitarian organization which offers guarantees of impartiality, such as the International Committee of the Red Cross. 104. The blockading belligerent shall allow the passage of medical supplies for the civilian population or for the wounded and sick members of armed forces, subject to the right to prescribe technical arrangements, including search, under which such passage is permitted. Syria, on the other hand, may be a different kettle of fish. As the Professor notes in her piece, the definition of "armed conflict" that justifies a blockade does not require a formal declaration of war in these times. 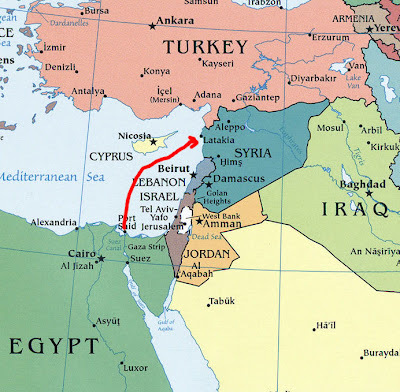 Certainly, Israel and Syria have not been peaceful neighbors but the imposition of a blockade on Syrian ports is, without a doubt, an act of war that may bring consequences that Israel and the rest of the world mat not be willing to pay at this time. So, I expect that a war of words will continue and these ships will be allowed their "peaceful" transit in the Mediterranean this time. You may count on them being closely watched by every one with a stake in this iteration of Iran's war with Israel. 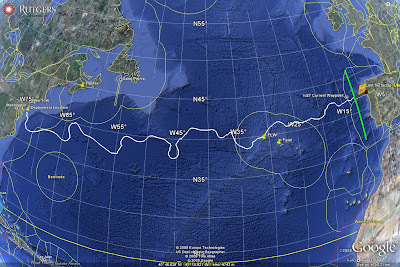 Maybe you missed the story at the time, but a group of Rutgers University research successfully piloted a robot "glider" across the Atlantic Ocean on a multi-month journey that took the eight foot ling research robot from the U.S. coast to Spain. 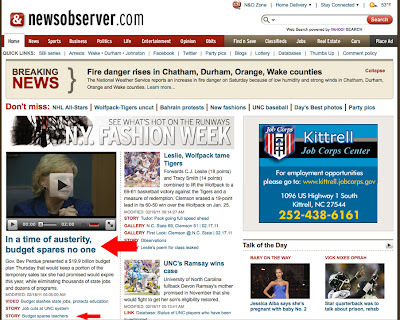 The experiment ran from launching on April 27, 2009 to December 4, 2009. Most underwater vehicles, like submarines, use a spinning propeller to move around in the water. Propeller driven vehicles are fast, but they also require a lot of energy to maintain their speed. Smaller vehicles like the glider only carry enough battery power to drive a propeller for a few days at most. Instead, underwater gliders move around by changing their buoyancy, that is they change their density such that they alternate between more dense and less dense than the surrounding ocean water. This change in buoyancy causes the glider to rise and sink in the ocean. The glider changes its density by moving a small piston forward and back that increases and decreases its volume. You may remember that you can calculate the density of an object by taking its mass and dividing that by the object's volume. Since the mass of the glider remains constant, all we need to do is change its volume. A small change in volume (about a half cup of water) is all the glider needs to change its density enough to rise and sink in the ocean. As the glider goes up and down, its wings give it a forward motion just like the wings on an airplane glider, which is why these robots are also called gliders. But airplane gliders can only "glide" as they fall downwards due to gravity. Underwater gliders can glide forward both as they rise and fall. 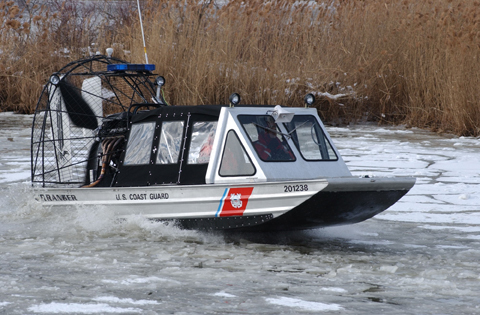 It took 7 months for the "Scarlet Knight" to make the crossing, all the while promoting new techniques of gathering information about the ocean. The Rutgers University site has video, photos and much more about this historic effort. According to the Smithsonian Institute, the glider will be on display in the Sant Ocean Hall, Natural History Museum, Washington until mid-2012. 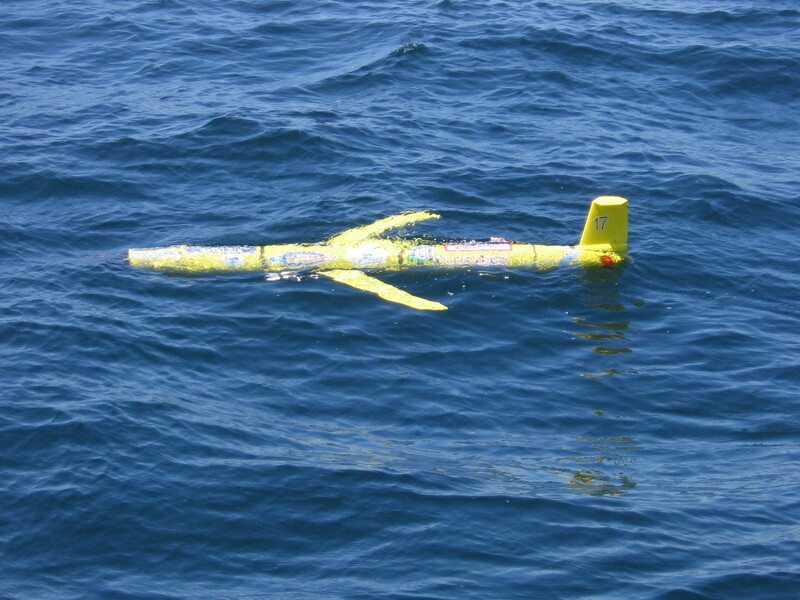 Gliders collect data such as temperature, salinity, currents and density that describe conditions below the surface of the sea and at varying depths. As part of the Deepwater Horizon BP oil spill response effort, IOOS partners deployed a fleet of gliders equipped with sensors to help indicate the presence of oil. 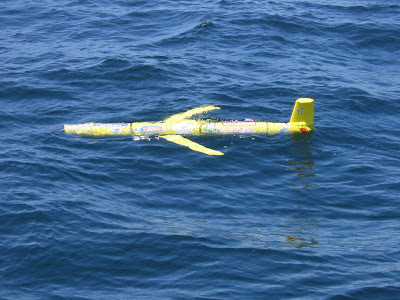 Although scientists must still confirm the oil through water sampling, the gliders narrowed the search zone for subsurface oil. Now, that's a science project. And a bit of history. 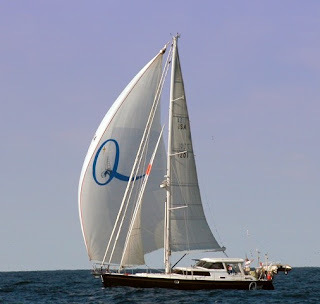 Somali pirates on Friday hijacked a yacht with four Americans on board in the Indian Ocean, a non-governmental organisation monitoring regional maritime activity said.Ecoterra International said the S/V Quest was seized in the afternoon 240 nautical miles (275 miles) off the coast of Oman. 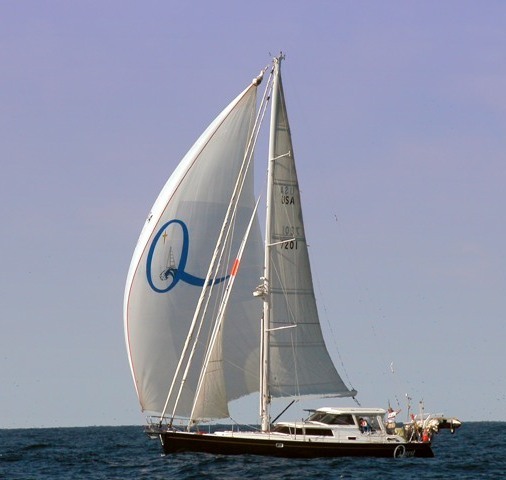 "S/V Quest was attacked by pirates in the Indian Ocean and the four Americans on board are being held hostage," it said. 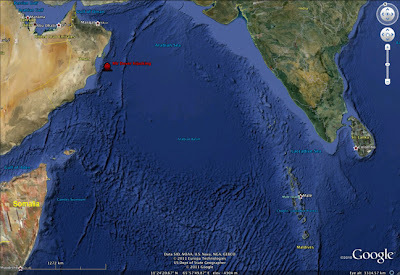 "The sailing yacht was reportedly now en route from India to Mina Raysut, the industrial port of Salalah, Oman," Ecoterra added. The S/V Quest's owners, retired couple Jean and Scott Adam, have been sailing around the world for more than seven years and detailed in a December update on their website what their travel plans would be for 2011. Alert number 092 / 2011. 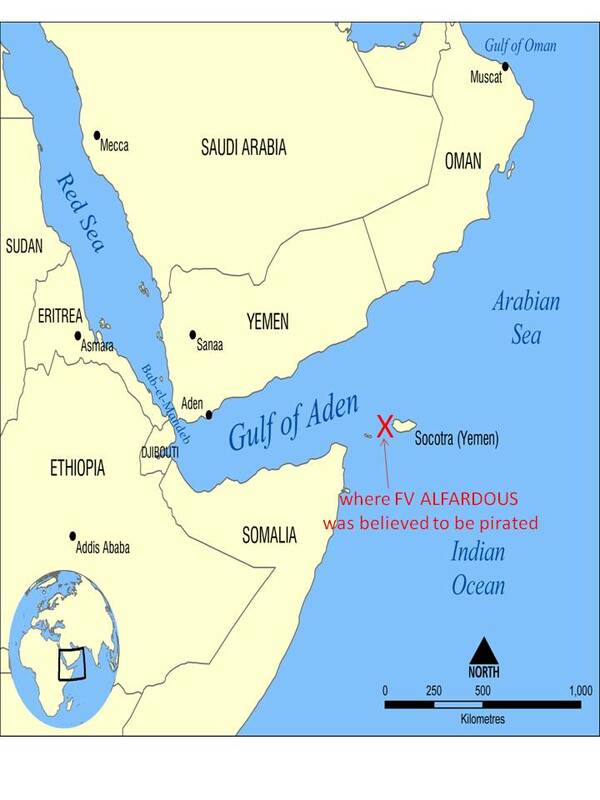 At 1323 UTC / 18 FEB 11 / a Yacht was reported Hijacked by pirates in position 18°00 N 061°02 E.
On the 13 February, the Yemeni Fishing Vessel ALFARDOUS was believed to have been pirated close to Socotra Island in the Gulf of Aden. The vessel has a reported crew of 8, nationalities presently not known. There is no further information on the condition of the crew. 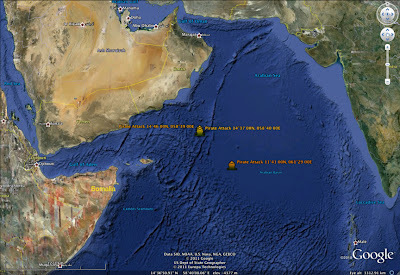 EUNAVFOR is monitoring the situation. 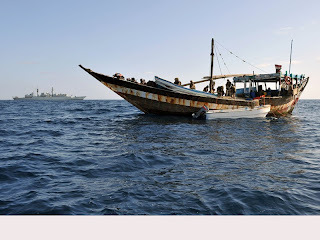 A US military commander warned Thursday that Somali pirates were skirting pressure by moving deeper into Asian waters and said the only solution was to restore stability in the African nation. Suspected Somali pirates sit with their faces covered during a media interaction on board an Indian Coast guard ship off the coast of Mumbai on February 10. 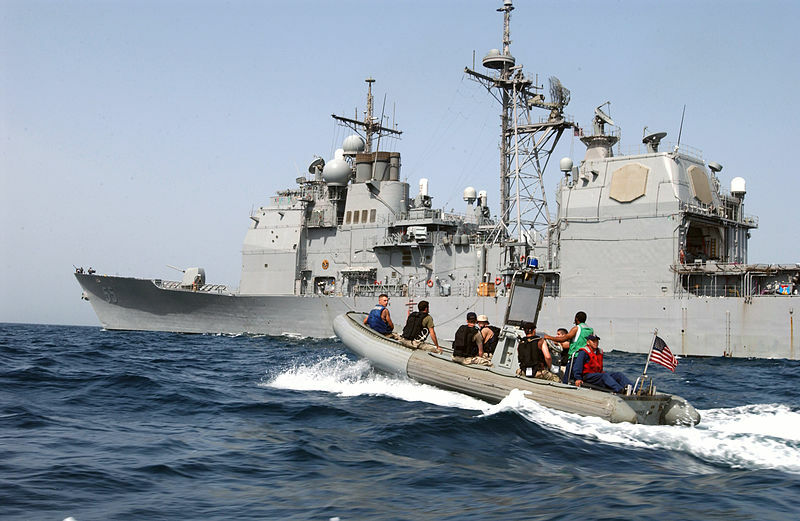 A US military commander warned Thursday that Somali pirates were skirting pressure by moving deeper into Asian waters and said the only solution was to restore stability in the African nation. 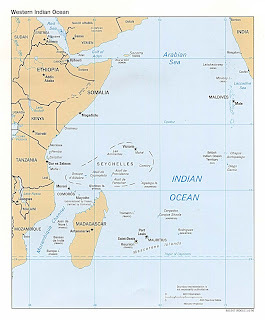 Admiral Robert Willard, head of the 300,000-troop Pacific Command, voiced exasperation at years of naval efforts to stem the flow of pirates from Somalia -- which has been effectively without a central government for two decades. "It's remarkable that 28 nations combining their maritime forces together in the Gulf of Aden have not been able to defeat this challenge," Willard said at the Asia Society on a visit to Washington. 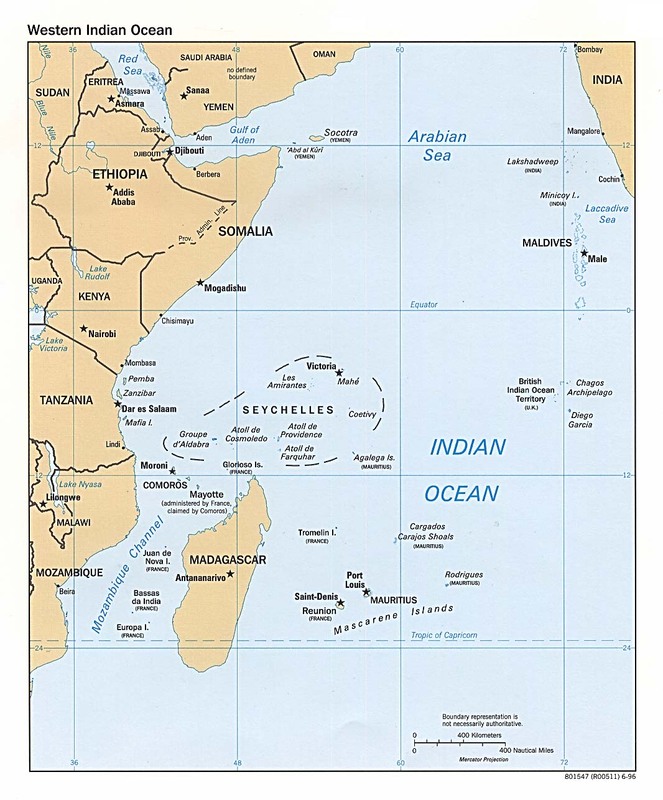 Due to the naval campaign, "the pirates are just ranging farther out into the Indian Ocean -- hundreds of miles, quite literally," Willard said. Willard said the pirates posed particular problems for Maldives, a sparsely populated Indian Ocean archipelago of 1,192 tiny coral islands best known for its upmarket beach resorts. Willard said he recently visited Maldives and President Mohamed Nasheed told him that "his problem was that either abandoned pirates or pirates that were lost in the middle of the night in their activities, or otherwise detached from their motherships, were now landing in the Maldives." The commander also saw problems with piracy in southern India and as far away as the South China Sea. Foreign navies have stepped up operations off the Gulf of Aden since 2008. But Willard said that there was ultimately not a naval solution. "I don't think you're ever going to defeat this threat at the far extremes of their operations on the sea lanes," Willard said. "But rather you have to go to the centers of gravity -- the source on land in the Horn of Africa -- and put a stop to that," he said. Early reports of a tanker attack approximately 40 nm off India. 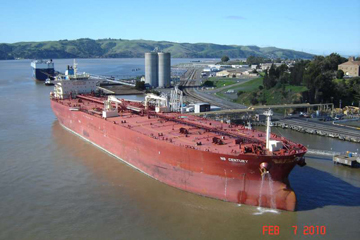 The tanker NS Century reportedly used onboard armed guards to fend off the attack. NS Century seems to be in the fleet of JSC Novoship. Details to follow as I learn them. NS Century photo by Oldkayaker from Shipspotting.com. 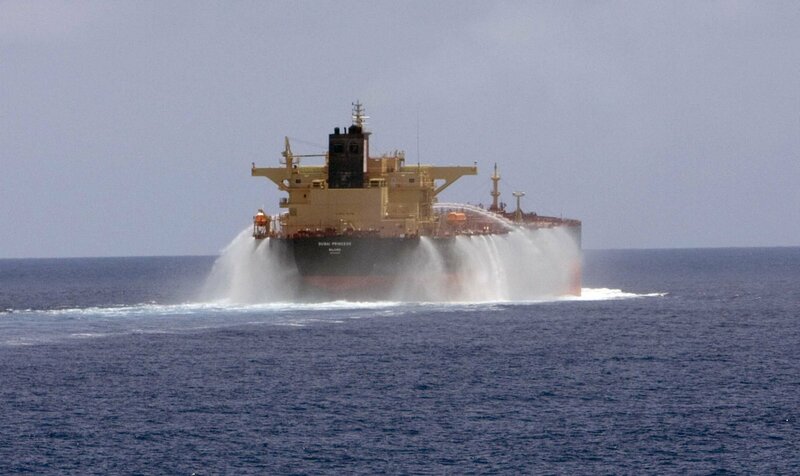 Three skiffs were noticed at a distance of 6.3 nm ahead of a tanker underway. 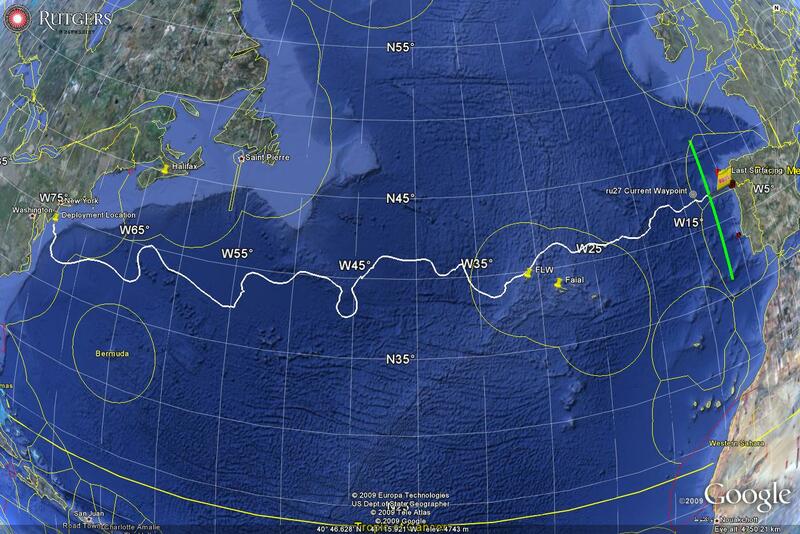 A suspected mother vessel without AIS signal was also noticed via radar around 17nm ahead. The skiffs increased speed and headed towards the tanker. One of the skiffs increased its speed to around 20knots.There were 6-8 persons in each skiff. Master commenced evasive manoeuvres, alerted all crewmembers. The skiffs closed to around three cables and the armed security team onboard fired warning shots. For those who wonder about such things, a cable is more or less 200 meters (219 meter U.S./185 Brit) or 660 feet +/-). 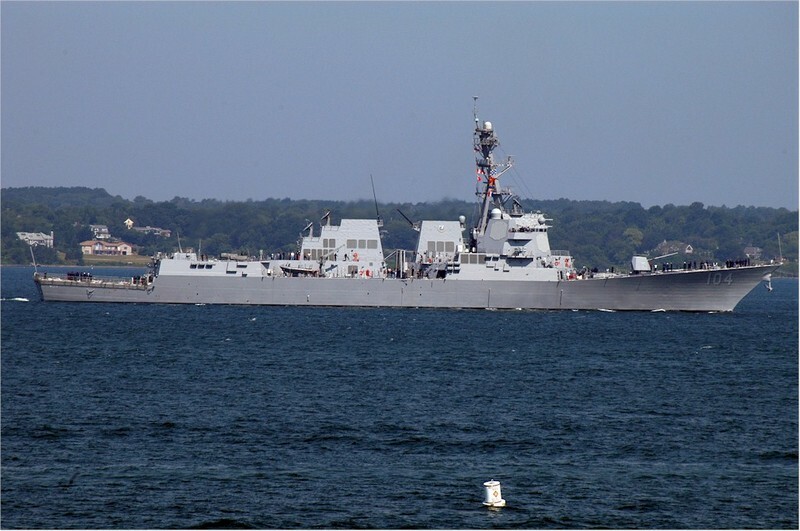 Galen Wright of the blog Arkenstone has a post up analyzing the possible use of tactical ballistic missiles as anti-ship missiles. Might be worth a look. As for the claims of stealth, accuracy and all that . . . The point? I dunno, why would the IRGC be interested in threatening ships in the Arabian Gulf? Muse pleaded guilty last May to hostage taking, kidnapping, hijacking and conspiracy and was sentenced to 33 years and nine months in prison on Wednesday. Muse now is entitled to free cable TV, 3 squares a days, legal aid, education, books and a cot. Which, not surprisingly, is better than what he had in Somalia. Except for that confinement thing. Stone walls can a prison make.